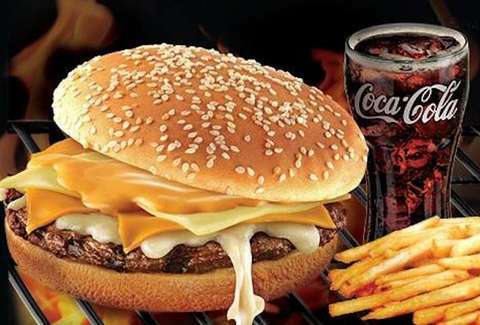 A beast more powerful than Godzilla -- well, more powerful than Burger King Malaysia's Godzilla-themed burger -- BK has launched an amazing-looking four-cheese Whopper... but withheld it from American cheese-lovers. The gooey monster is available at Filipino Burger Kings, and includes Swiss, American, mozzarella, and a "special cheese sauce" that we hope is just a bunch of Easy Cheese. With America's national cheese nightmare finally over, we're holding out hope for BK to make the right decision and offer this Whopper stateside, if only to re-earn the love of the good people of Wisconsin. Kristin Hunt is a food/drink staff writer for Thrillist, and thinks all burgers should come with a four-cheese option. Follow her at @kristin_hunt.